SAVE THE DATE! 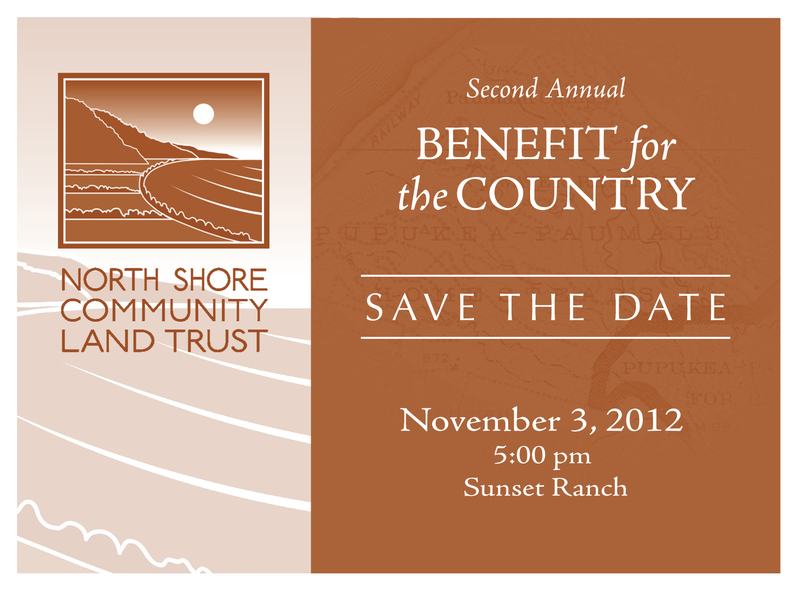 Sunset Ranch is excited to announce that our annual fundraiser for the North Shore Community Land Trust (NSCLT) will be on Saturday, November 3 at 5:00 pm. Town will be catering the event, and the entertainment will include some of Hawaii’s very best. The NSCLT will also be sharing current projects and an update on their ”Greenprint” intiative. Please join us on this special evening and support one of the great organizations working hard to protect Oahu’s North Shore.